Individual tour-excursion to Charyn canyon, Berkutchi museum by 4wd car. Enjoy one-day tour to the Charyn canyon, one of the most popular destinations for those who want to spend their weekend outside Almaty city. Go and see this special natural sight. 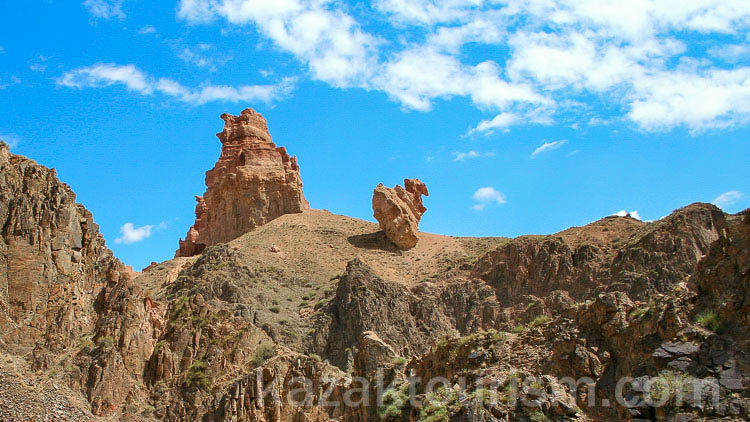 We offer to start your visit to Charyn with the Valley of Castles full of fancy rocks creatively shaped by nature. The valley path will lead you to the fast flowing stream of the Charyn river. Near the river you will enjoy a fresh rest from the summer heat in the green area in trees shadow. The most comfortable time period for visiting Charyn is from April to June and from August to October. Walking and photograph in Charyn canyon, 2-3 hours.